An ICO is a fund-raising mechanism contrivance where a start-up sells their existing cryptocurrency tokens for either Bitcoin or Ether. The investors get a share in the start-up. 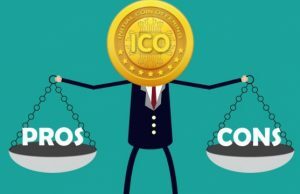 The inception of the ICO trend dates back to 2013, where it all began for the ICOs. The pre-developed tokens are then available for the people to trade on all the Cryptocurrency exchanges, given that there’s decent demand for that particular token. 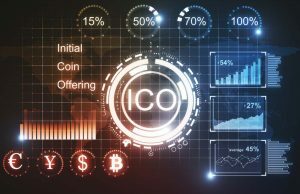 With the growing ICO trend, many start-ups are coming forward with their innovative ideas and business plans to raise the funds they require to execute their business. 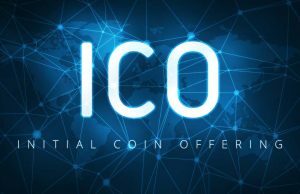 Investors from all around the globe are getting interested in ICOs because they usually provide investors with a lot of money making opportunities. The triumph of Ethereum ICO led to a lot more well-planned ICO projects that followed the path of Ethereum. ICOs have the potential to completely change the way businesses work. They’re already making huge improvements in the fundraising sector. 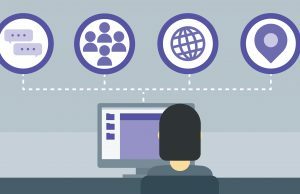 How we review an ICO? The rise of cryptocurrencies has completely changed the face of both the tech and financial industries. Blockchain has paved way for many innovations in both of these fields. While everyone is busy looking at the Bitcoin and a few other major Altcoins, there is a growing number of newer coins being introduced into circulation with different features and advantages. ICOs are happening every other day for one new altcoin or the other and altcoins are constantly outdoing each other in terms of improvising and providing the best features. The Bitcoin may be the most popular and valuable cryptocoin at this point, but you can rest assured that there are newer altcoins coming out regularly which offer everything the bitcoin does and even more. The way that these altcoins are initially introduced to the market is through what is known as an ICO – Initial Coin Offering. 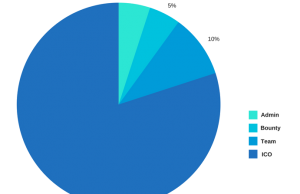 The big crypto investors are actively getting into the ICOs by investing good amounts of money into several promising ICOs. Unfortunately, a few isolated events that occurred with regards to ICOs has resulted in people giving it a bad reputation. We should take a step away from it and realize that these are just few bad apples. Even these incidents have not been able to stop the ICO train, as it is still moving forward successfully with many more upcoming ICO projects. Basically, one needs to be careful while getting involved with any type of financial instrument, let alone an ICO. Proper education about the business model goes a long way in helping you make the right decisions from an investment stand point. As mentioned earlier, an ICO works in a very similar way to the IPO model. A start-up company or team comes up with a business plan which has a cryptocurrency coin integrated into it. The start-up creates cryptocurrency tokens which will be made available for the investors to buy. The ICO is developed with the backing of a blockchain-based software or framework such as Ethereum. Then the whole mechanism is supported by digital tokens which are cryptography-based. These digital tokens are usually known as tokens or coins. The team then comes up with a white paper, which is basically a statement that includes all the details of their project and their business model. You can find all the technical details of an ICO in their white paper. The companies that offers products and services by integrating a crypto token or coin can only be labeled as an ICO. With an ICO, start-up companies can raise the required capital for their business in a very easy and simple way. The investor who buys the coins or tokens gets profited if the company performs well in the post ICO period. The coins/tokens are then introduced into the cryptocurrency exchanges, where the public investors can trade them. The initial investors’ profits depend on the value of the coin after it gets introduced to the cryptocurrency exchanges. The people who invest in the ICO phase usually get a decent discount on the price of coins. By now, you may have understood what an ICO is and how it works. Now, it’s time to get educated about our ICO reviewing process in order to make sure that you’re investing properly. Currently, there’s a backlash against ICOs due to some scams that happened in the recent past. The cryptocurrency community strives hard to eradicate such things from happening in the future. 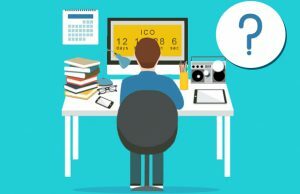 If you’re interested in investing some of your money in the ICOs, you must educate yourself about the major factors that determine an ICO. If you invest blindly into an ICO, you might regret later if it turns out to be either a scam or a bad project. This is the most important step while assessing an ICO project. A good team most probably is capable of executing the ICO properly. Try to research about the team members that are involved in the ICO you’re considering. You can use Linkedin for this purpose since most of the developers and entrepreneurs are active on this social media platform. Google the names of the team members and try to find as much information as possible about them. Look up their past projects and their portfolio to get an idea about them. Make sure to check out if the team had any previous experience related to cryptocurrencies. Check their credentials and educational backgrounds to ensure they’re appropriately qualified. If their information is not available anywhere on the internet, then it’s a big red flag for you to proceed. Usually, the people who hide their portfolios tend to be on the wrong side of the line when it comes to legitimacy. So, finding as much information as you can about the team should be of high priority to you. If the team has any prior crypto experience, find out what projects they have worked on and whether the projects have succeeded or not. If the team worked on a project which ended up a failure, you must consider backing out. Talk to the team behind the ICO and ask them any queries that you may have. If the team is not responsive or unclear with the answers, it’s not a very good sign. Most of the ICO projects have public communities on different social media platforms or messengers. Usually, the majority of ICO teams and communities use Slack and Telegram to communicate with each other. These platforms are used for the general chit-chat and some important updates about the project. ICO teams deliver their messages to the community through Slack and Telegram. The community members are able to participate in group chats and private chats with the other community members and the ICO team members. Make sure that you search for the public communities of an ICO while considering it as a potential investment. If you can’t find the above-mentioned communities, try to see if there’s any other public community on different social media platforms such as Facebook or Reddit. Most of the ICO projects maintain a twitter handle to post and deliver updates on the project. Search for any Facebook groups related to the respective ICO project. If the ICO team doesn’t take the media seriously, then most likely they aren’t serious about the project either. ICO projects generally launch bounty programs to encourage the community members to promote their ICO. Try to see if the ICO project is conduction such bounty program because these programs play a crucial role in the promotion of the project. An ICO project without a bounty program most likely lacks an efficient marketing team. A dedicated token must be created solely for the project to be qualified as an ICO. You must know the exact details of how the token is related to the project. There are several ICOs coming up with silly reasons for creating a token, which end up being a scam by looting money from the investors. If you want to avoid that fate, make sure you know the complete details of the token and why it’s created in the first place. A token needs to have unique characteristics from a business point of view. If a token doesn’t have any purpose, then it won’t have value in the future. Many projects have come and gone with the passing time, don’t end up investing in such ICO projects. Always do your due diligence in finding about everything you can about an ICO token prior to investing. Understand the project and the token that’s integrated into the ICO project to ensure the safety of your investment funds. Find out if the project really needs a blockchain-backed technology. Some ICOs are just plain marketing gimmicks to lure money from the people and eventually go rogue. The token and the ICO project must be compatible with the blockchain in order to succeed. If the project can be executed without a blockchain software, then there’s no purpose of an ICO. So, stay away from such projects that aren’t built on an underlying blockchain platform. Make sure you understand the concept of capitalization in the cryptocurrency spectrum before you investigate the cap of an ICO project. Basically, the market cap is the value that’s derived by multiplying the value of a token and number of tokens in circulation. Some ICO projects go with unlimited capitalization, which you need to consider seriously. ICO projects that have unlimited capitalization lets the investors send in as much money as they can. This phenomenon leads to a tricky situation where the value of a token may drop due to lack of the demand. If there’s a huge number of token in circulation your tokens may simply become less unique, which leads to a poor demand for the tokens. There’s another side of this coin, which you need to consider as well. After the ICO is completed, the tokens get introduced into the cryptocurrency exchanges, where they are open to being traded by the public traders. There’s a catch here, which is, the exchanges are interested in listing the tokens that usually raise some decent money in the ICO stage. If an ICO doesn’t raise a good amount of funds in the ICO phase, then it may not be listed on the major exchanges which simply lead to poor trading activity for that token. 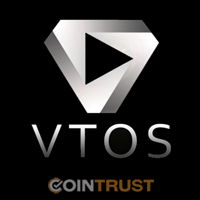 A token must be available for the public trading in order to get value after the ICO. This is one of the very important factors that you need to keep in mind while evaluating an ICO project. 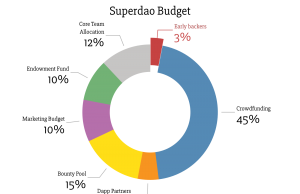 Look at how the token distribution is being done among the team members and investors. If an ICO project allots more than fifty percent of the tokens to the team members, it’s simply a sign of greed among the ICO team. You don’t want to be dealing with an ICO that has a greedy team behind it. Look at the roadmap of the project to find the details about the token distribution. Some ICO projects distribute the token shortly after the end of ICO. While some other projects take a break after the completion of ICO and start the token allotment phase after this break. They usually utilize this time to develop a beta version of the token project. Gather this information about the ICO project that you’re considering and assess how it’s going to affect your investment. All the information about an ICO project lies in the whitepaper. If you’re investing in an ICO project without reading and evaluating the whitepaper, consider yourself a bad investor, especially when it comes cryptocurrencies. Whitepaper of an ICO projects consists of each and every detail that’s related to an ICO project. You can find about the roadmap, token distribution, purpose of the token, and much more in the whitepaper. Don’t ever neglect this step while reviewing an ICO project. Reading and understanding the whitepaper of an ICO project can help you by leaps and bounds. While reading the white paper of an ICO project, take note of all the positive and negative points of the project. Note them down on a paper for future reference. Ask yourself how the project can add value to the world. If the project is of no use for society, then most likely the project would fail sooner or later. Investing in such ICOs can lead you to a complete disaster. Always study what you’re investing in. Pretty much every cryptocurrency publishes their code as an open-source on Github. If you have even little knowledge of coding, you can try and review the quality of the code. If you are able to find any errors or glitches in the code, you can determine that the developer of the project is not serious. An ICO with a code that has errors tells you the professionalism of the developers and the overall team. If you don’t have any coding skills, you can check the structure of the project’s code and how well it’s framed. 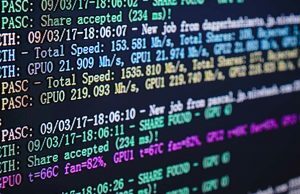 An ICO project without an open-source code must be dealt with more caution. Finally, try to search the internet about the ICO project and see how people in the cryptocurrency community are responding to the ICO. Talk to any friends involved or experienced in cryptocurrency and ask their opinion about the ICO project. Always be careful while investing in an ICO project. Do your due diligence, because it’s better to be safe than sorry.